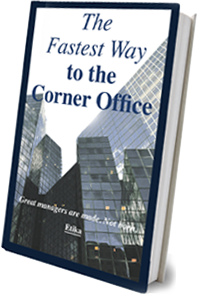 I’m so excited to announce my new book, The Fastest Way to the Corner Office, written to help every middle manager achieve their career dreams. Middle managers worldwide are working around the clock, vying for a chance to get promoted, yet only a mere 30% actually succeed. Why is this? It’s not because they don’t want it enough. And it’s not because they’re not trying or working hard or long enough. And no, it’s not because they aren’t lucky. The reason is that they aren’t doing the right things in the right way for them. Book stores and websites are flooded with “how to” guides about anything available on the planet, including THE formula for career success. While THE formula might’ve worked for some professionals, this doesn’t mean that there’s a single road leading to your next promotion. In fact, my experience shows that if you travel down a road not paved just for you, career disaster will be lurking at the end. In The Fastest Way to the Corner Office, you’ll discover your own road to success by learning what’s right for you. You’ll identify with the many managers profiled and realize how similar your story is to theirs. And you’ll learn about the paths they chose to succeed. More importantly, you’ll be able to examine their solutions and implement the ones that make the most sense to you. Over the years, I’ve been challenged by others who’ve claimed that you have to be “born a leader.” While I respect the right of anyone to express their opinion, over 35 years of research and practice have shown me that this simply isn’t true. I’ve seen far too many stories of middle managers who were not necessarily born leaders, yet by tapping into their potential, became very effective senior managers. And the best part is that every one of us has untapped potential, ready to be released so that we can achieve the career of our dreams. The secret is to make ourselves aware of this potential. 1. I know that I have hidden potential ready to be unleashed. 2. I will identify my hidden potential. 3. 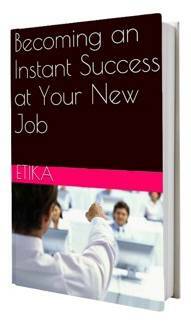 I will develop and nourish my hidden potential to help me achieve career success. 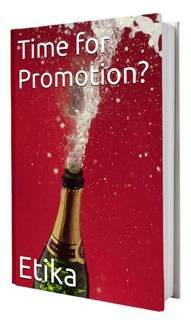 I hope you enjoy The Fastest Way to the Corner Office and wish you luck in your journey towards your next promotion. Wonderful insight ! Bringing awareness out of many years of Hands on experience by a true professional ! Bravo Eti !